It's mission style all the way with the top selling Amish California Mission Bench. 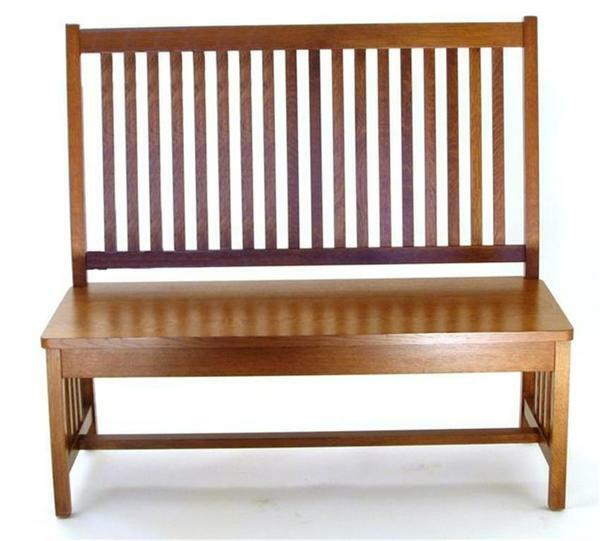 In the dining room, hallway, foyer or bedroom this solid wood bench is pure quality seating. A perfect row of mission style slats lines the back to offer support, with more slatwork helping to define the base. This bench comes standard with a wood seat but a comfy, soft upholstered seat option is also available. We are happy to send out fabric samples to help you choose your fabric or leather as well as wood finish samples. We make it easy to customize your new bench. You can click on the options you'd like and order samples to work with at home. Furniture Specialists are here to offer you personal service with any customization questions. Have fun customizing your new furniture! Thank you for shopping DutchCrafters, #1 for Amish furniture offered online.